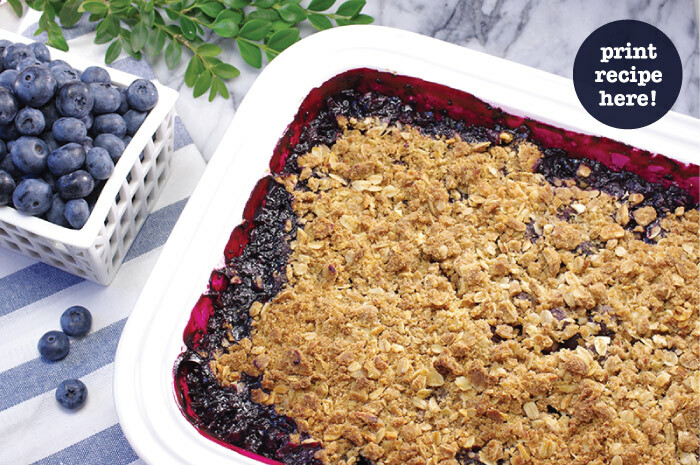 We may like blueberry crisp better than blueberry pie – hard to believe, because we like blueberry pie quite a bit! The blue-gray berries burst under heat turning a beautiful purple as they release all of their juicy goodness. Because August blueberries are the best, they deserve to shine through by adding only the perfect complement. 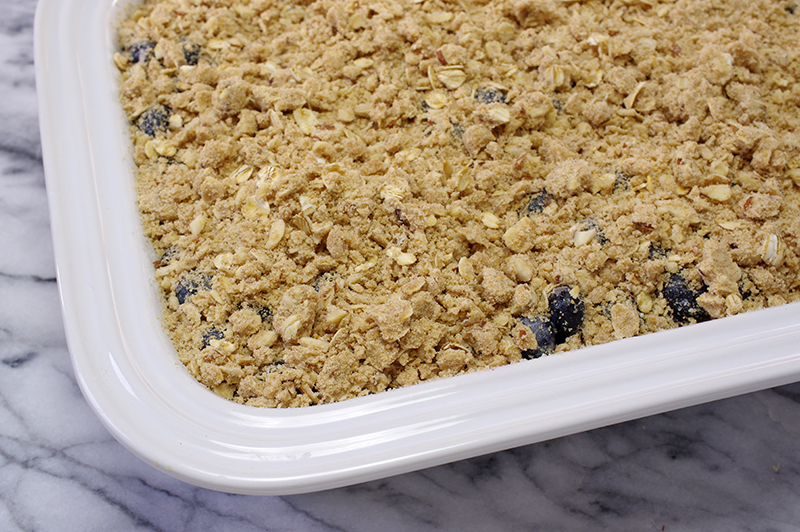 We’ve developed what we think is the perfect crumble topping – one with little chunks that retain their nutty crispiness. Top with a little whipped cream, and it’s a spoonful of summer heaven! 1. Preheat the oven to 375°F. Butter the interior of a large (3.5 qt.) glass or ceramic baking dish. 2. Prep the fruit by washing and removing any stems. Drain well, air dry or pat dry. 3. 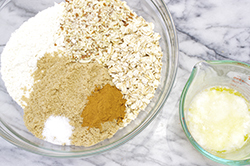 In a small bowl, whisk together the sugar, cornstarch, and salt so that the cornstarch is evenly distributed and without any lumps. 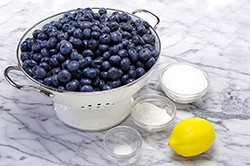 In a large mixing bowl, toss the fruits with sugar-cornstarch mixture. Place in the buttered baking dish. 4. 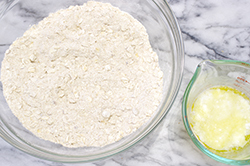 Melt one stick (1/2 cup) butter in a glass-measuring cup using 30 second intervals. 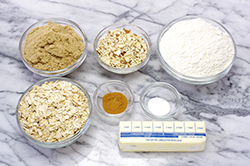 In a separate bowl, mix together the brown sugar, flour, oats, cinnamon and salt. Drizzle the melted butter over the mixture. 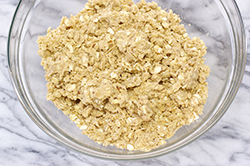 With your fingertips, work the crumb topping until the butter is evenly distributed and clumps form when pressed together. 6. During the final minutes of baking, mix the cream, vanilla, and powdered sugar, in a small, deep bowl, and whip to soft peaks. 7. Serve the crisp while warm topped with a generous dollop of whipped cream or your favorite vanilla ice cream.